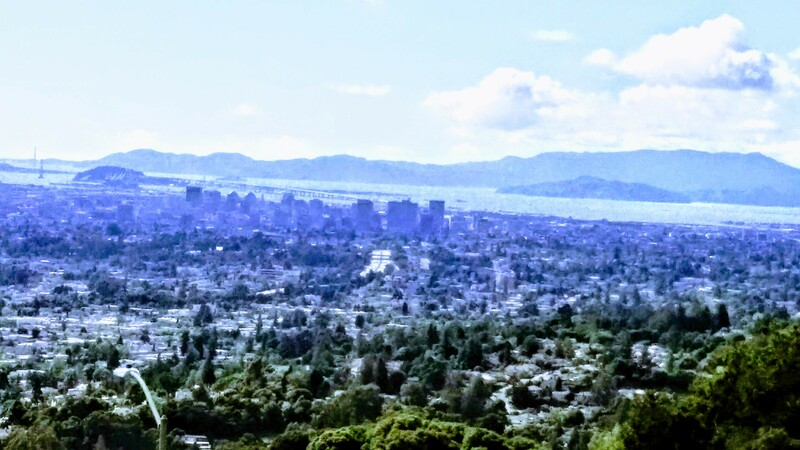 The major in Real Estate provides excellent preparation for the broker’s or salesperson’s license and contributes to efficiency in many related professions. In addition, the courses provide important information and training for professionals interested in investing in real estate, including those in government working with real property. The program not only has all the courses for salesperson/broker licensing, but also all the classes you need to take the state exam to become a state-licensed trainee appraiser. Most of all, career paths include developers, appraisers, title officers, property managers, and mortgage brokers and bankers. FOR MORE INFORMATION, E-MAIL PROFESSOR FORKNER AT mforkner@peralta.edu. 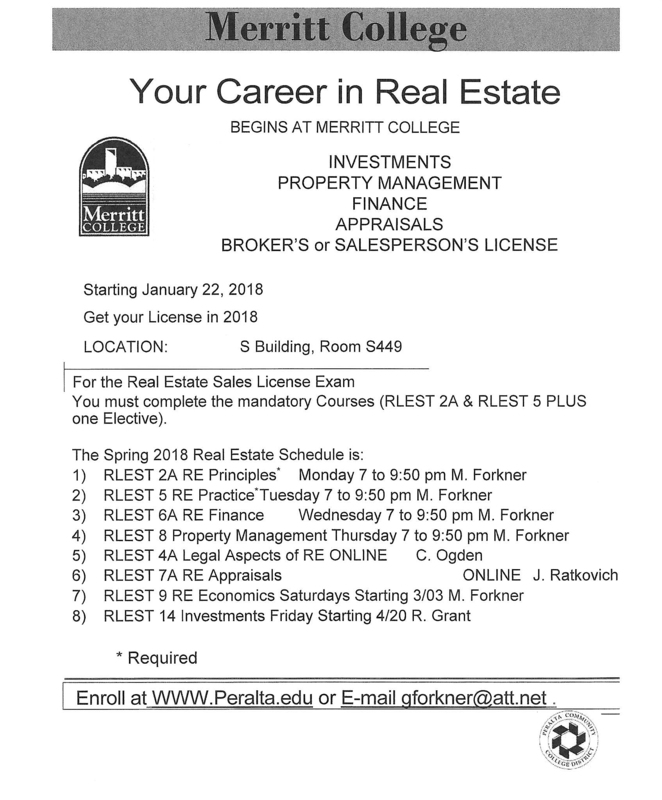 Choose Merritt College Real Estate to enroll online for Real Estate classes and get the California Real Estate Salesperson/Broker Licence in 2017!